Check out our new and exciting LEGO® Robotics exhibit! 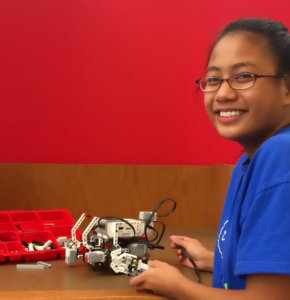 There are countless students all across the nation that are engaged in LEGO® Robotics Education within the classroom. 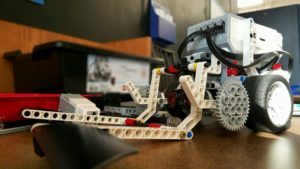 The educational resources that LEGO® Robotics provides, enables students to develop problem-solving skills that will allow them to become the critical thinkers and creators of the future. Discovery Station is pleased to be able to bring this exhibit to our community. 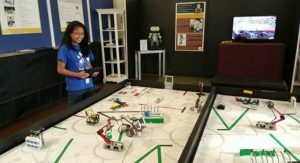 It highlights the importance of STEM literacy through comprehensive hands-on learning elements that specialize in the four disciplines of science, technology, engineering and mathematics. The exhibit contains three sections. 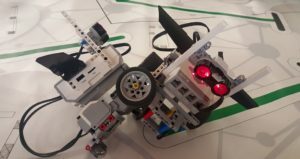 The first section focuses on the construction and programming of LEGO® MINDSTORMS® Education EV3s. 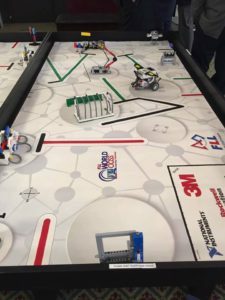 The second section features two LEGO® MINDSTORMS® Education EV3 Arena Challenges, where visitors can compete against one another. Finally, the third section focuses on the real world application of robotics. 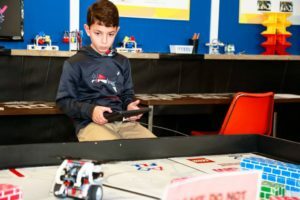 The LEGO® Robotics and Education exhibit and associated programs that are conducted by Discovery Station at Hagerstown, Inc. are not affiliated, sponsored, or endorsed by LEGO Education or The LEGO Group.